Recently I received an email from the management of Fort Kochi Restaurant saying that I was one of the handpicked foodies to be gifted a dining voucher. Naturally, I was intrigued and looked them up on the internet. Fort Kochi offers coastal cuisine from South Indian state of Kerala. Their specialty is seafood. Their menu mostly consists of seafood. Being a vegetarian, I was not too keen to visit the restaurant. So I called them up, and they said that I should definitely visit them and try the limited vegetarian food that they served. So on a Friday evening my family and I set off to Karama in search of the restaurant. It is located near Sunrise Supermarket, infact opposite to it. The restaurant is small, the ambience is basic and simple . But it has comfortable seating and bright lighting. Most of their staff and chef are from Kerala, so you can expect an authentic experience. Kochi or Cochin is a major port city in the South Indian state of Kerala. It is a vibrant and beautiful city. 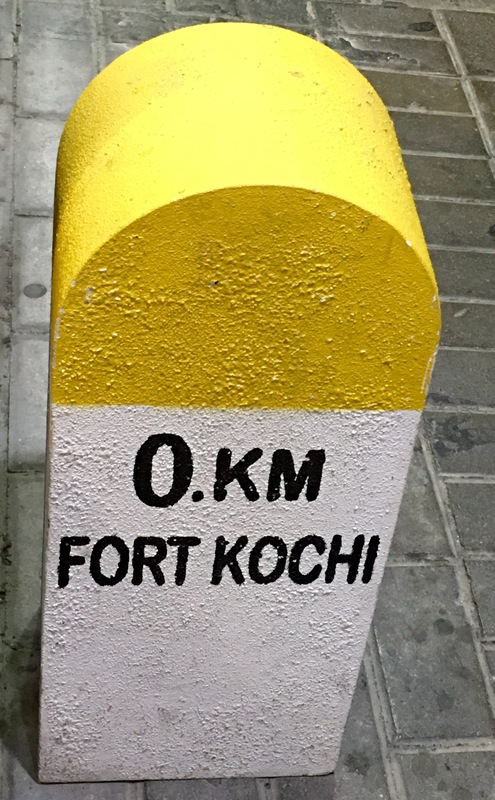 Fort Kochi is a region in the seaside city of Kochi. The restaurant is named after this region, that is famous for its culinary delicacies especially fish. Fort Kochi has an elaborate menu with a wide range of sea food dishes. They have a reputation for serving fresh fish and shellfish. There is the option of choosing the fish from the display. Apart from sea food they also offer chicken and vegetarian dishes. For vegetarians I would suggest only their breakfast, as there is a better choice compared to lunch or dinner. We started off our dinner with a round of drinks. Hubby and I had Lime & Mint Juice and the kids had Lemonade. The drinks were refreshing. 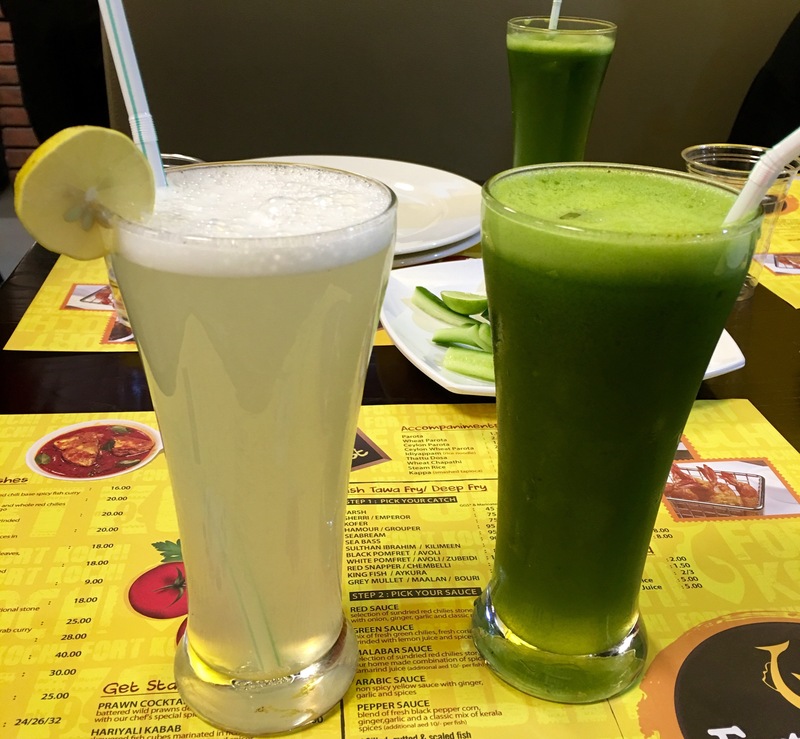 Their drinks menu offers fresh juices,soft drinks and ginger tea. The only vegetarian starter in their menu is Potato Wedges. We didn’t have any choice but to order it. 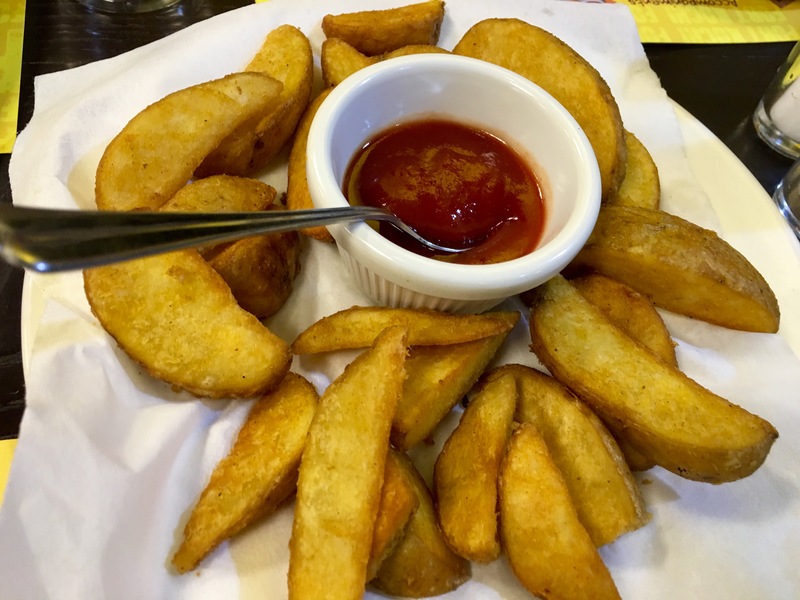 The potato wedges were the regular ones that we get in all the restaurants. As for the mains, we ordered Kadala Curry,Kappa, Idiyappam, Thattu Dosa and Wheat Parota. 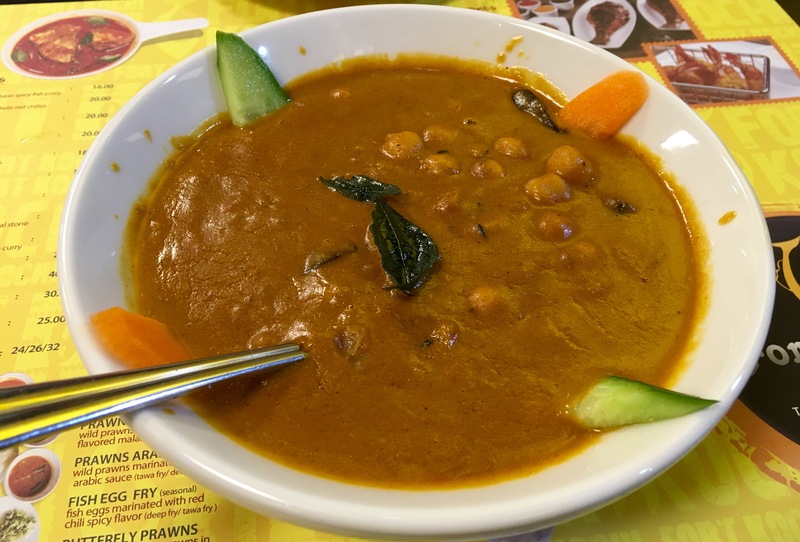 Kadala Curry is the Keralite version of Channa masala. It is a spicy curry made with chickpeas in a thick gravy. It was spicy and tasty. 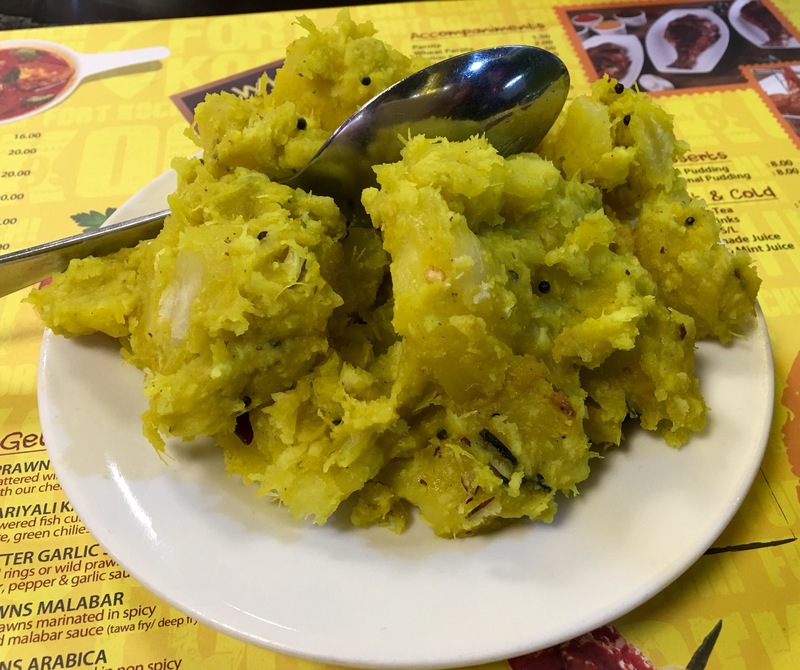 Kappa or the mashed tapioca is a simple and popular dish in Kerala. It was cooked perfectly and tasted just like the Kappa I had at my Keralite friend’s house. 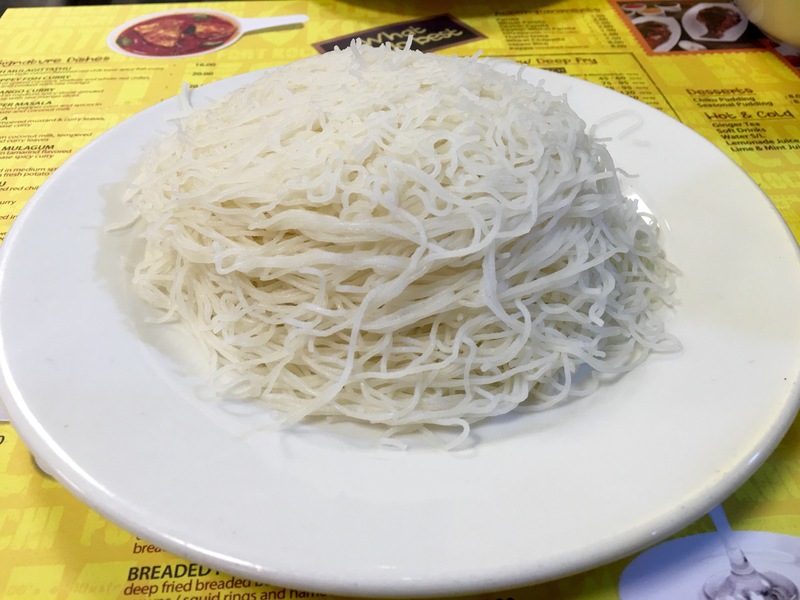 Idiyappam are the rice noodles or string hoppers. It is rice flour pressed into noodle form and then steamed. We loved it, and it went well with our vegetable dishes. Thattu Dosa is the traditional form of dosa in Kerala. It was soft and fluffy. Parota is a layered flatbread popular in South India and it is quite similar to Laccha Paratha in North India. It was served hot and tasted excellent. 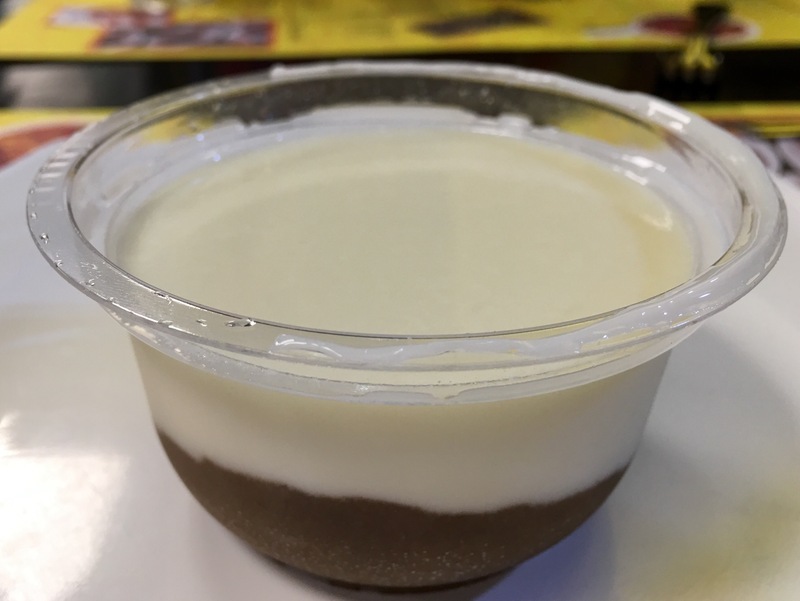 They only had Chiku Pudding for dessert. So we ordered it. It was made with fresh Chiku fruit purée. It was delicious. The service was good. The pricing is very reasonable and affordable. Whatever vegetarian food we had was good. It is a must-visit place for all sea food lovers. Fort Kochi also has a branch in Qusais. Looks amazing Megs. Should try next time i am in kochi! thanx for the recommendation. Of course, you will get this in Kochi. This restaurant is in Dubai. So you can get authentic coastal cuisine of Kerala right here in Dubai.